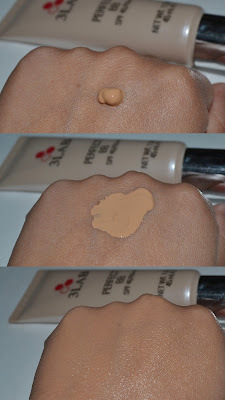 Today I have a review of trying out my first BB cream, this one from 3LAB. 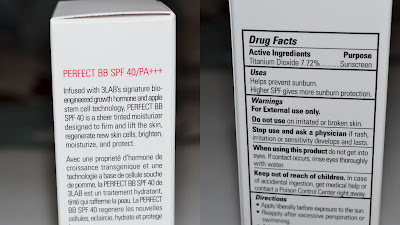 I have been so curious (like others) when it comes to BB creams and how good they will actually work. I have normal/dry skin and my skin is not perfect, but it's not terrible either. I'm sure you've heard about BB creams just about everywhere now, but do you know what they are? 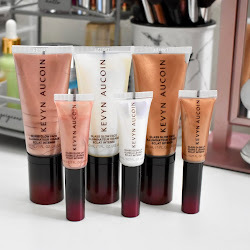 It's basically a one multi-benefit product - it's your moisturizer, primer, foundation, concealer, and sunscreen all in one. I will go into more detail about this one from 3LAB below. Here is my review. 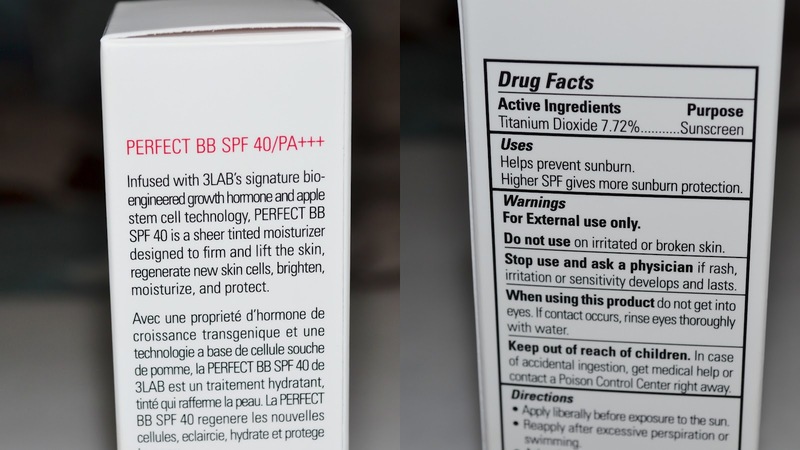 Infused with 3LAB’s signature bio-engineered growth hormone and apple stem cell technology, PERFECT BB SPF 40 is a sheer tinted moisturizer designed to firm and lift the skin, regenerate new skin cells, brighten, moisturize, and protect. 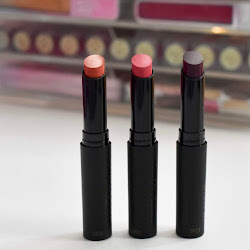 conveniently in three shades to match your skin tone. First, I want to mention that I'm pretty big on foundation and using it everyday. So using something that was more light weight and had light/medium coverage was something I had to get used to. This really helped with the main thing I need for my skin: evening out my skin tone. It made me have a more even complexion and it felt good on my skin. I use about one pump and apply it with my fingers. I feel like for this kind of formula, it's easier. I ended up receiving dark, which was a great match. I definitely notice that it hydrates all day long and I did not once break out. It has a scent to it, which I didn't care for at first, but now I'm used to it and it doesn't bother me or my skin. This is something that I can't stop using. I love the formula and what it does for my skin. I want to try other BB creams so that I can compare, but I'm thinking nothing can beat this one. Everything about it has been positive. You definitely get you pay for, an all in one makeup product that does what is needed for your skin. How many color options? There are 3 different color options. Light, Medium, and Dark. Where to buy: 3LAB.com, Dermstore.com, Nordstrom/online, Barneys New York/online, and Bliss/online. I hope you enjoyed this review and it was somewhat helpful! Received this product for review consideration. Great review! I absolutely love BB creams, I have the Garnier one and it's amazing! I'm sure I won't be picking up this one, since it's almost $100! haha, sometimes I just can't JUSTIFY those high prices! Nice review! I will recommend these cream to my friends. I have been using a Missha bb cream for almost a year now & I love it. This one is rather pricey compared to others I have seen. A good way of bumping coverage up to medium or full is to finish with a Mac MSF or any mineral/powder foundation. I am fairly new to your blot & wanted to say how much I enjoy your reviews. 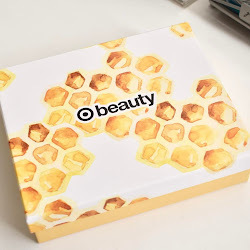 Just received mine today, and by far this is the BEST BB cream I ever used. I've been using BB creams for about 6 years and the biggest problem I had with others were they sometime caked up on my face. Not this one -- it goes on smoothly -- I love it!! !